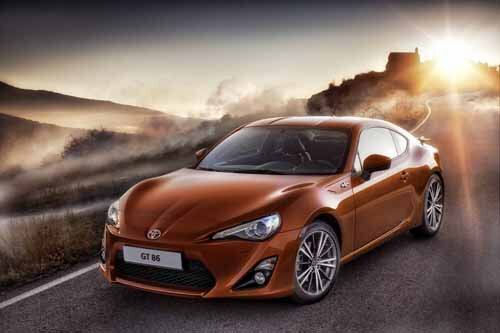 Toyota GT 86 Car Poster Print on 10 mil Archival Satin Paper 24" x 18"
THE PRICE SHOWN IS FOR ONE PRINT (24"x18") WITH OTHER SIZES AND/OR PRODUCTS AVAILABLE (SEE BELOW). PURCHASE 3 OR MORE ITEMS AND SHIPPING IS FREE! This beautiful, hard to find high resolution masterpiece is printed when you order and are never “off the shelf”. We use only the finest archival satin paper and quality inks assuring you a lifetime of enjoyment. Printed on 10.0 mil weight, 95% opacity per TAPPI T-425, 40 smoothness rated per TAPPI T-538, 105 whiteness rated per CIE Ganz 82 HP Q1420A paper, these beautiful prints will be a welcome addition to your collection or make a wonderful gift! NOTE: If you are interested in one of the other products or sizes listed above please contact me with your preference. Lamborghini Gallardo LP560-4 Spyder Car Poster Print on 10 mil Archival Satin Paper 16" x 12"
Subaru BRZ STI Concept Car Poster Print on 10 mil Archival Satin Paper 24" x 18"
Volvo V60 Engine Car Poster Print on 10 mil Archival Satin Paper 24" x 32"
Spyker C8 Aileron Spyder Concept Car Poster Print on 10 mil Archival Satin Paper 20" x 15"
Inovo Design Lirica Car Poster Print on 10 mil Archival Satin Paper 20" x 15"
Tesla Alpha Model S Car Poster Print on 10 mil Archival Satin Paper 16" x 12"
Lamborghini Gallardo LP 570-4 Superleggera Car Poster Print on 10 mil Archival Satin Paper 16" x 12"
McLaren MP4-12C Car Poster Print on 10 mil Archival Satin Paper 24" x 18"
Saab Areo X Concept Car Poster Print on 10 mil Archival Satin Paper 16" x 12"
Ford Sport Trac Adrenalin Concept Truck Poster Print on 10 mil Archival Satin Paper 16" x 12"